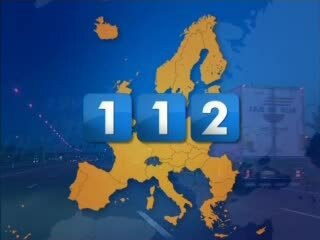 A traffic accident, a fire, a heart attack... whatever the emergency is, in the European Union, there is one number to call: 112. If something happens when travelling in one member states, there is no need to try to find out whom to phone. This common number makes things a bit easier in stressful moments. No credit enough on the mobile... phoning to 112 is free of charge! Although most people don’t know it, Croatia, Serbia, Montenegro and the Former Yugoslav Republic of Macedonia have already adopted this number. It is time for Bosnia i Herzegovina, Albania and Kosovo to do so.